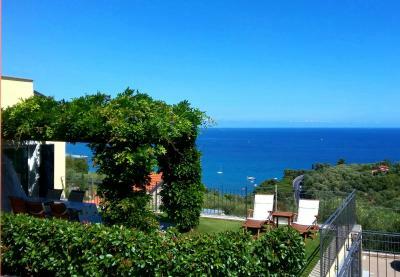 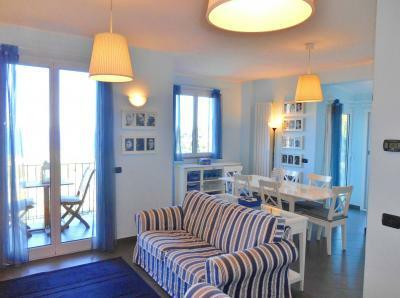 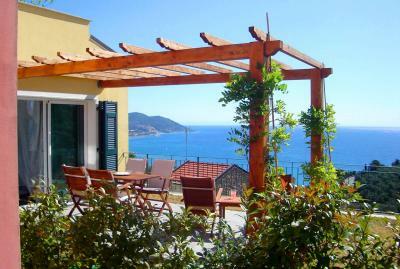 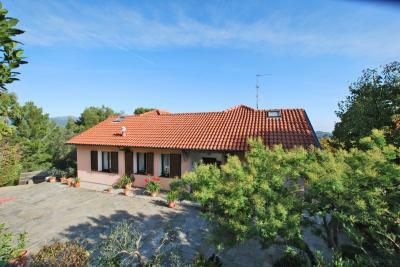 Villa for Sale in Diano Marina, in the exclusive area of Capo Berta, in perfect condition and beautifully decorated. 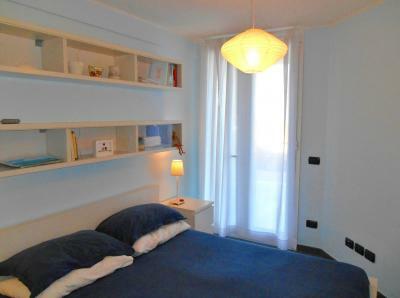 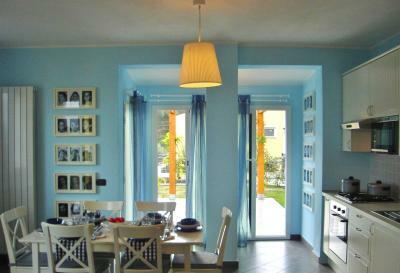 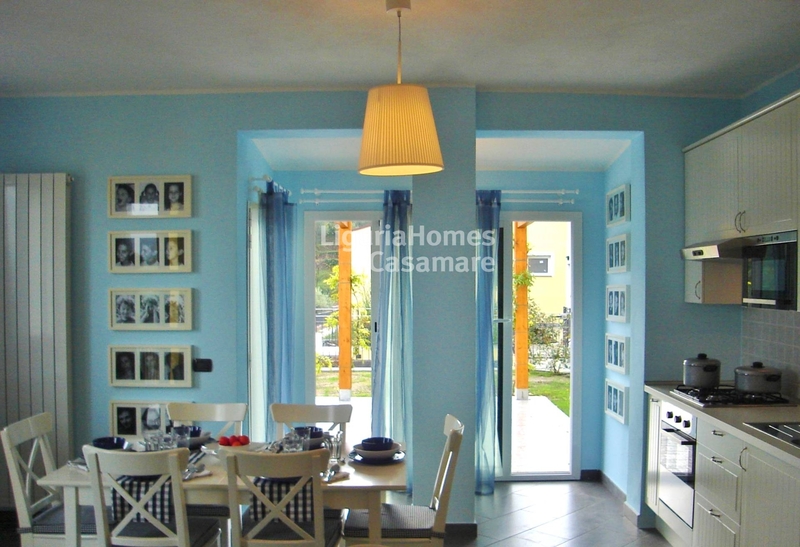 This recently built Villa is offered fully furnished with taste and attention to quality and details. On two levels, from the entrance on the back side you enter the living area divided into a sitting room with patio doors to the balcony (loggia) and a bright dining room overlooking the Gulf of Diano Marina with access to the beautiful terrace 50square meters partially covered with a wooden pergola. 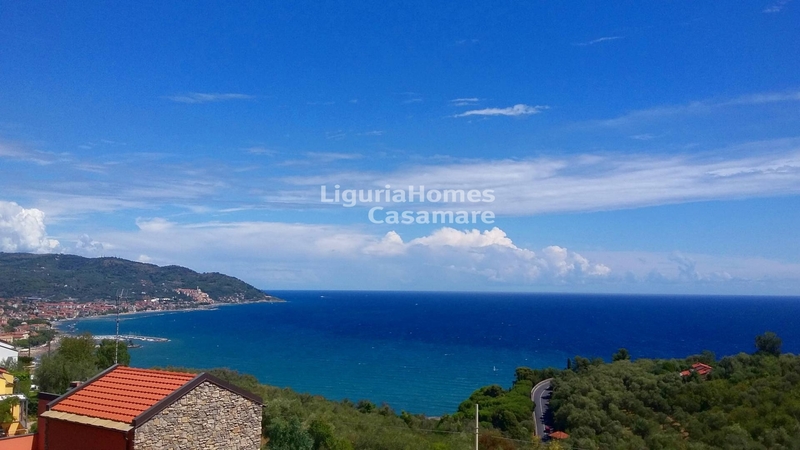 The stunning view on the sea, especially from this area is the distinctive feature of this beautiful Villa for Sale in Diano Marina as well as a private and exclusive location. 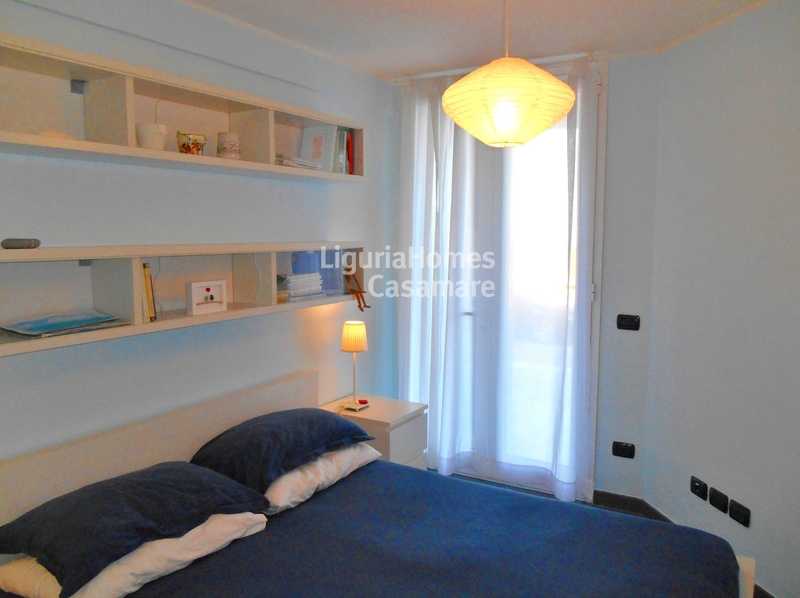 On the lower floor, accessed by an internal staircase, the two environments available has been used for a double bedroom and a bedroom with two bunk beds but can be easily adapted and modified to suit your needs. 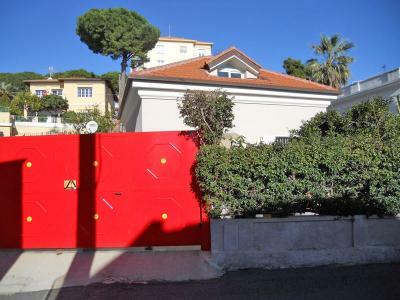 Both plans offer a bathroom as well as a storeroom at the bottom and a cellar outside. 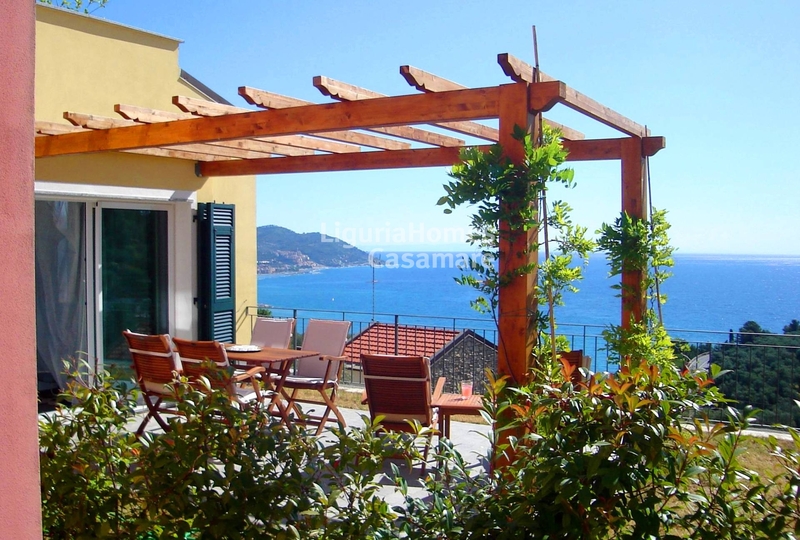 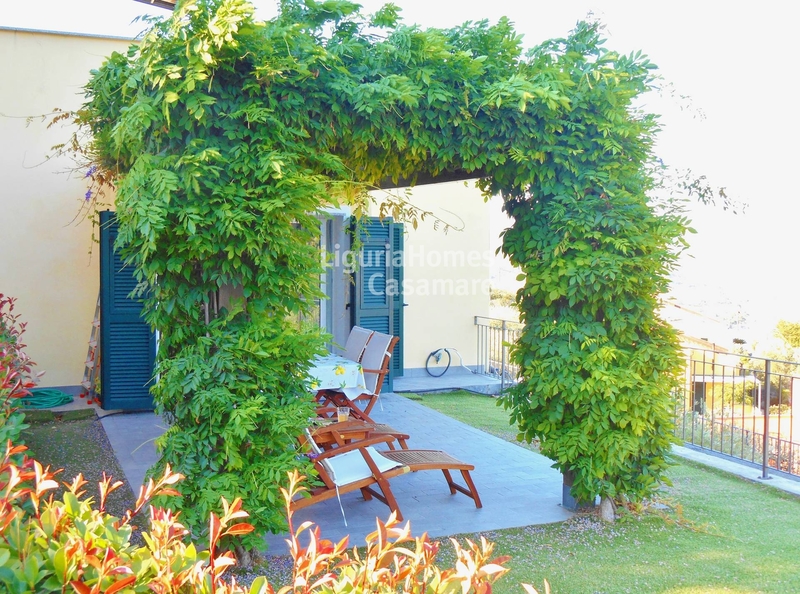 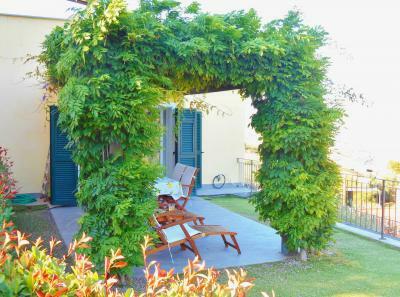 This Villa for Sale in Diano Marina you can realize a small pool at the side of the terrace, the property also has a private parking space, the entrance gate has the videophone.